Tudor has announced that it will launch the Pelagos, a new take on its traditional mechanical divers watch, as part of its 2015 collection. In similar fashion to the North Flag, the Pelagos will house a movement that is developed and produced by the brand itself. 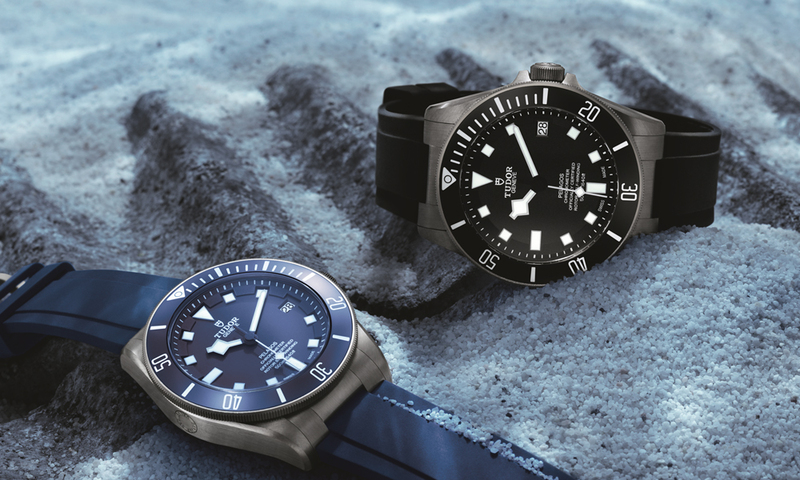 Housed within a 42 mm case that is made from titanium with a satin finish, the Tudor Pelagos will contain a calibre MT4612 mechanism that beats to a frequency of 28,800 vibrations per hour (4 Hz) and has been certified by the Swiss Official Chronometer Testing Institute (COSC). It will include hour, minute and central second functions, whilst an instant date display is visible through an aperture that is located at the 3 o’clock position. 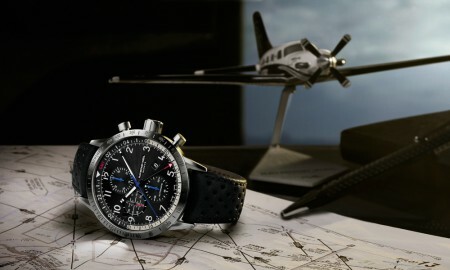 The timepiece will be available in two colours – matt black and matt blue. 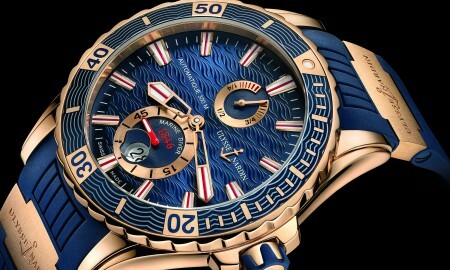 The latter, of which, has been the iconic colour of the brands divers watches since the 1960s. 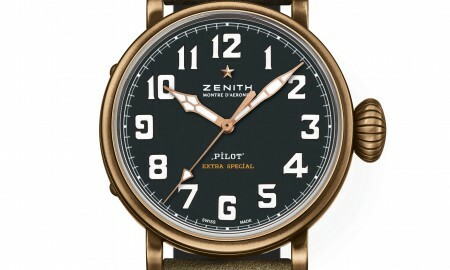 The chosen colour is carried on through the dial, bezel and optional rubber strap. 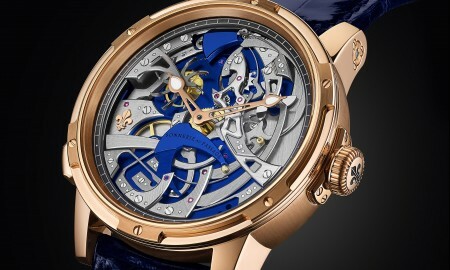 In addition to a strap, the watch will also be available with a titanium bracelet with satin finish. Both models are supplied with a sapphire crystal display that has been treated with scratch-resistant and anti-reflective materials, in addition to white hour markers and hands that feature luminescent coating. 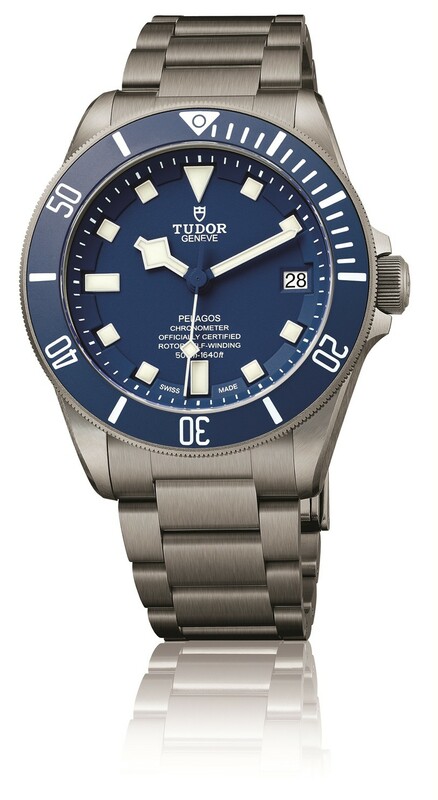 The Tudor Pelagos boasts a minimum power reserve of approximately 70 hours and is water resistant up to a pressure of 500 meters or 1,640 feet.